From small business to the Fortune 500, Google Adwords is one of the most commonly used types of online advertising. When done right, it’s a powerful advertising platform that works very well to deliver the RIGHT message to the RIGHT buyer at the RIGHT time. Honestly, it can be a marketer’s dream case scenario. Despite this, companies sometimes struggle to generate a positive return on investment. Truth is, many people quickly jump into Google Adwords and start handing over the cash before they actually understand the platform and how best to leverage it. This is perfectly understandable as Google makes is fast easy to get started and provides you with tons of “helpful” default options. But beware, this turn-key approach rarely delivers the results your after… and in some cases, can end up costly you a good chunk of change! 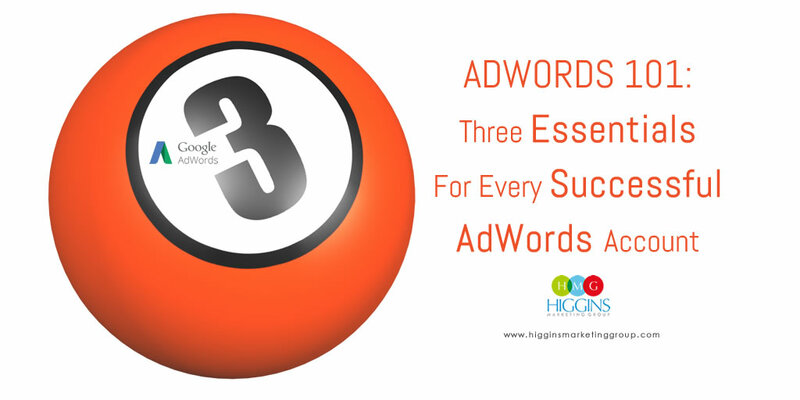 So in this post I want to briefly review 3 AdWords 101 best practices. If you’re just getting started and want to ensure your account is positioned for success, starts with these tips and dive into the more detailed posts. If your already running campaigns… use this as a quick audit. Establish the Correct Account Structure. Too often, advertisers create a single campaign and go about including all their keywords and ads in one (or very few) ad groups. This is a big mistake. Success in Google AdWords is all about granularity. The more specific you can get by focusing on your specific market, keyword sets, your ad copy, and your user’s landing page experience, the more successful you will be. In AdWords, there are few things as important as keywords. That’s where it all starts. 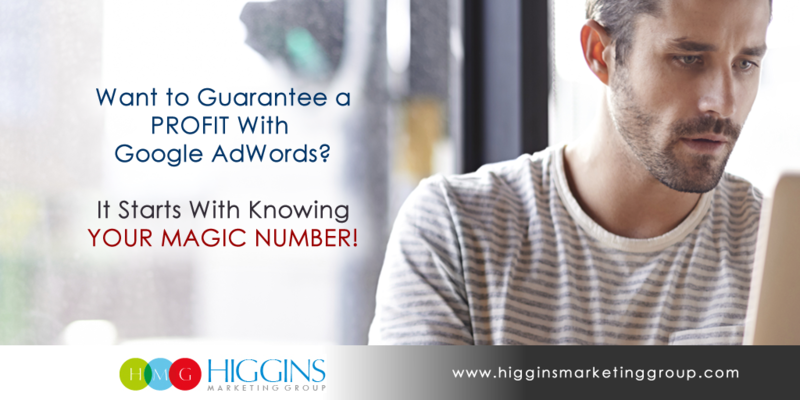 If you are able to hone in on the right keywords, it can mean a steady stream of qualified leads or sales. If you fail to do this, you can waste a tremendous amount of money! For most advertisers, the goal is to identify a set of keywords that strike a balance between volume (i.e., generating lots of clicks) and quality (i.e., generating the right clicks). This is not only achieved by the specific search keywords you target but HOW you choose to target these keywords using what Google calls match types. On one end of the continuum, you have “broad match keywords” which cast the widest net. On the other end, you have “exact match keywords” which are the most targeted of all. For help with your keyword strategy, this two part post will be a big help. This is a big one. It’s also one that most AdWords newbies overlook. As good as your keyword list may be, you just can’t predict what people will type into that search box! In fact, you will ALWAYS find cases where your ad is being triggered by a search phrase that is not relevant for your business. From our experience managing AdWords across many clients, proactively monitoring search terms and continually adding negative keywords will identify and eliminate significant wasted spend… sometimes upwards of 20-30% of the total account spend. That’s a lot of money that should be allocated toward high quality clicks! After managing AdWords for over 10 years, I continue to be a huge fan. However, in Google’s attempt to dummy down the product for new advertisers, grow AdWords’ footprint, and increase revenues, they have created a system that makes it very easy to overspend. If you follow these 3 basic tips right out of the gate, you’ll avoid many of the issues and you’ll position your account for the next level of optimization! If you ever need help managing your account, feel free to reach out!